About 1830, Mary married Thomas Kennedy, who was from Wexford and had worked on the Rideau Canal construction. No marriage record has been found, but the ceremony likely took place in Bytown at the Notre Dame chapel. Other research indicates she died in 1897 at age about 90. She was buried in the cemetery at St. Anthony's in Perkins. In 1998, her broken headstone was lying beside the cemetery. It is believed that her plot was resold by church officials. 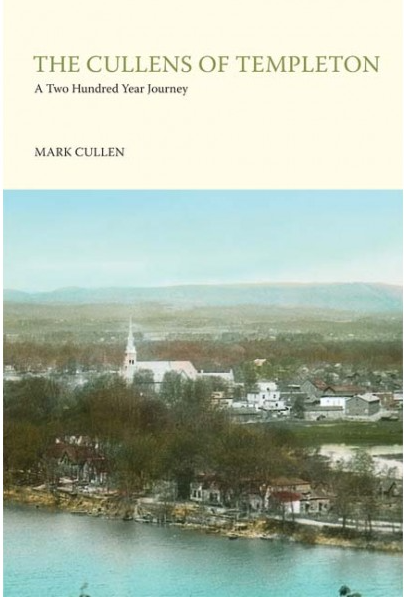 A more complete biography of Mary and her husband Thomas Kennedy is featured at www.cullenancestry.ca (Feature Story 2) and in the book "The Cullens of Templeton, A Two Hundred Year Journey". Biographical sketches of John and Elizabeth Cullen's 7 children, notes and appendices. The emigration of John Cullen and Elizabeth Carolan from County Cavan to Canada in 1826 and settlement in Templeton Township. John and Elizabeth were our first generation of Cullens in Canada.